Bright+3 : Is local advocacy the gateway drug to political engagement? Is local advocacy the gateway drug to political engagement? Local advocacy campaigns are nothing new. Once upon a time, local organizing and advocacy lay at the heart of social change movements (well, still does though it’s gone a bit underground). Folks in a city, town, or county would be outraged, get together to do something about it, talk to their neighbors, lobby city councils (the members of which were – and often still are – friends and neighbors). Eventually, if needed, they pushed their cause to the state or national level. For many of you, this may sound like the world circa 1975. “I’m Just a Bill” from Schoolhouse Rock tells the story of local citizens working together to pass a law saying that school buses must stop at train tracks. Here’s another story. The environmental movement got its start, in part, as the result of community-based campaigns to do something about polluted rivers. Ohio’s Cuyahoga River famously caught fire in 1969 (and many times before that, in fact). Citizens advocated for change from local leaders and soon realized that Congress would need to act. In time, the results included the Clean Water Act, the Great Lakes Water Quality Agreement and other programs that have resulted in vastly cleaner (and healthier) water across America. The ability of locals to organize, craft policy and programs, and take meaningful actions to promote change at various levels (local, state, federal) engaged a generation of people in their community, government, nonprofits, and other civic actions. Compare that to today when most people care so little for Congress that see no reason to engage in politics or policymaking. Antipathy is creating conditions that threaten advocacy organizations that rely on citizens for financial and political support. There is great opportunity, however, to support civic engagement and renew interest in political affairs through local advocacy. State and national organizations can (and should) engage people at a more local level while local groups with access to social media and better data than ever can make a stronger impact. The local level is where the rubber of national advocacy meets the roads of daily life — the reality of schools, roads, health care, crime, clean water and more. These aren’t abstract government policies for the residents of your neighborhood or city. They are the facts that help craft the narrative of individual actions and beliefs. Local communities provide the context in which almost all national and state policymaking is interpreted (we’re excluding international diplomacy and defense policy). Yet many, if not most, advocacy campaigns have difficulty crafting compelling stories about how policies made by elected officials the reader does not know after debate in some distant capitol building will really affect one’s life at a local, highly tangible level. Messages are national in scope and, when localized, organizations may lack an authentic on the ground context that helps the message connect. People may find it hard to get involved because there is no good local hook. 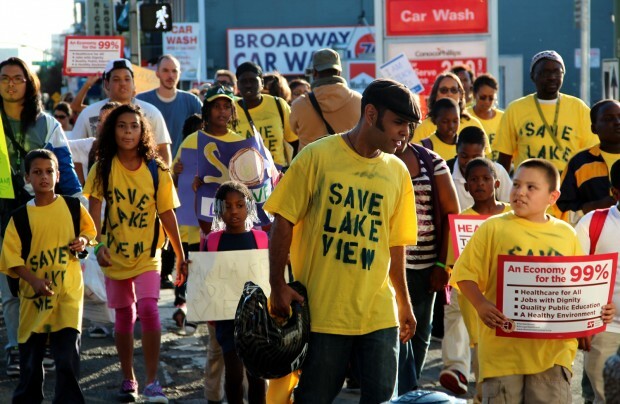 Strong local advocacy campaigns serve many roles, not the least of which is influencing local decision makers like mayors, city council members and school board members. Local advocacy also gives people an opportunity to get involved in policy change at a level that impacts them. Recently, Julia Kirby of the Harvard Business Review wrote about the use of “big data” by political campaigns and how it provides opportunities to better engage the “silent majority” in national politics. Big data does provide opportunity (and perils — a topic for another day) but Kirby’s piece overlooks a key element of the problem. People simply don’t believe that national politics matter. Big data may help campaigns find a hook into your or my passions by better understanding our retail purchasing habits but if I don’t believe national government or politics matter then I won’t spend any meaningful time with a campaign. Advocacy organizations (be they c3, c4, etc.) are great at building lists. They have the tools and resources to get a name and email address. But organizations are failing at activating people and we’re seeing that lists do not translate into active voters that support your cause. What’s missing? That’s debatable. I say that people are largely disengaged in national causes because they don’t see a reason to think their participation makes a difference. You and I and our neighbors have a million things on our plate. We all need a good reason to take time to act. We’re not getting it. Meanwhile, many people are engaged in local advocacy and politics but the numbers aren’t enough and local groups lack many of the resources and tools that help larger organizations make good use of data, social media, and digital communications. National advocates need to better engage at the local level to bring people into the conversation and engage them. Local advocates need better access to the resources, tools and training that larger organizations have (and perhaps take for granted). These are problems that can be solved. Smart people are putting attention into better thinking about engagement and resources such as easily accessed local government data for online organizing. What do you think is needed to better engage people at a local level? In follow-up posts we’ll look at how national (and local) advocates can (and are) changing things up to create local action that may restore some faith in the idea that, like the little bill on Capitol Hill, we can make a difference.